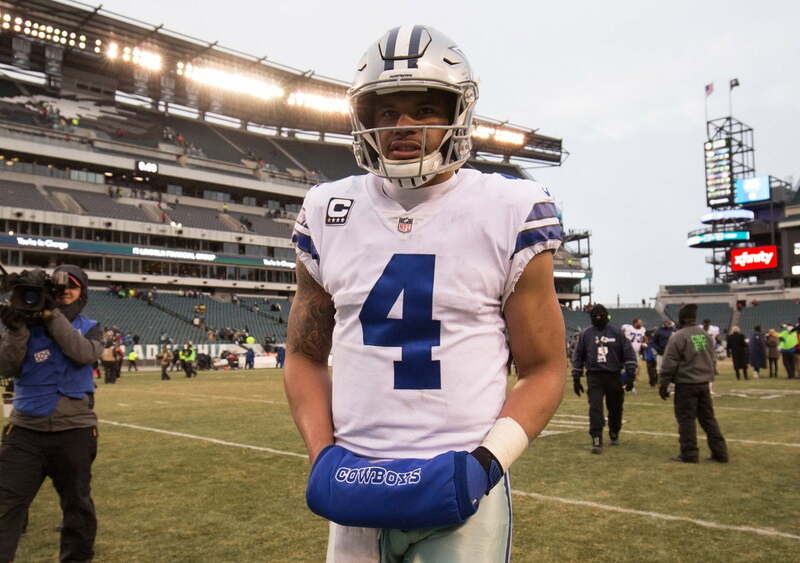 Dak Prescott has been frustratingly average since his phenomenal rookie season ended, but Jerry Jones sees a long-term future for the quarterback. While appearing on 105.3 The Fan, per Jon Machota of the Dallas Morning News, the Dallas Cowboys owner/general manager said Prescott will get a contract extension. During his last 24 appearances, the Cowboys are just 12-12. Prescott has 32 touchdowns compared to 18 interceptions during that span and has taken 60 sacks. Should Dallas really be tying itself to him? The answer, apparently, will be yes. The concern is a long-term contract will put the Cowboys in quarterback purgatory. Prescott would be too expensive to release or trade, yet they’d be committing something around $20-25 million to the Mississippi State product. Prescott’s mobility and arm strength are good assets, but his issues include accuracy, anticipation, timing and awareness. That’s a troubling scouting report. Nevertheless, the Cowboys are likely to move into the future with Prescott as a key piece. Now, the question turns to whether head coach Jason Garrett will be retained.